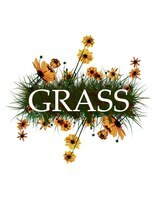 Group Recycling And Sustainable Solutions (GRASS) is relaunching and we need new members! At this event, we will be promoting participation in RecycleMania (#ULEcolympics2018) and collecting plastic water bottles to build a Thinker statue, holding a tap water taste test, and handing out free, reusable water bottles. We will also be offering free Fair Trade hot chocolate and hot Local Cider complements of UofL Dining. If you're interested in joining the club or want to find out more, this is the best time to come around.